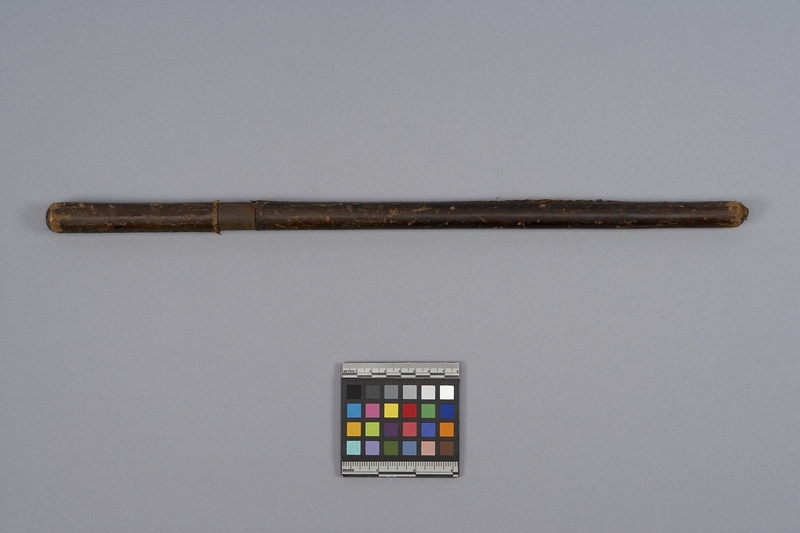 Item number 802/9 a-b from the MOA: University of British Columbia. 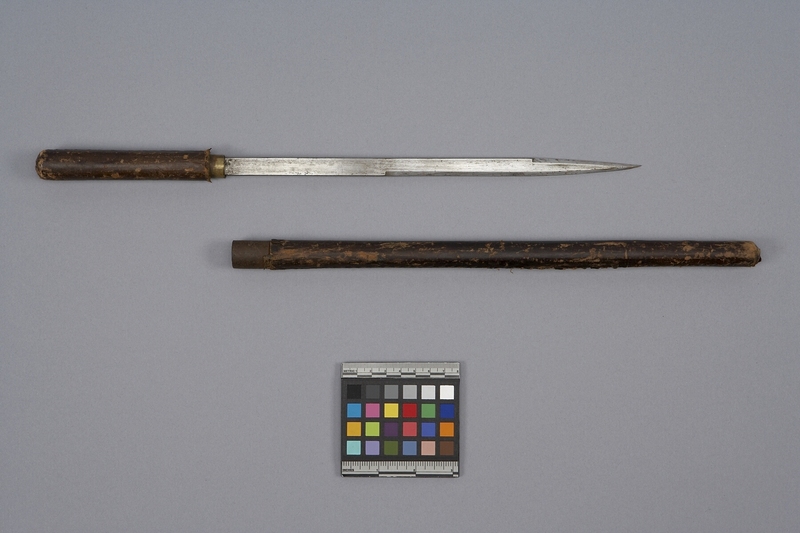 A long metal knife (part a) with a cylindrical wood handle covered in leather. 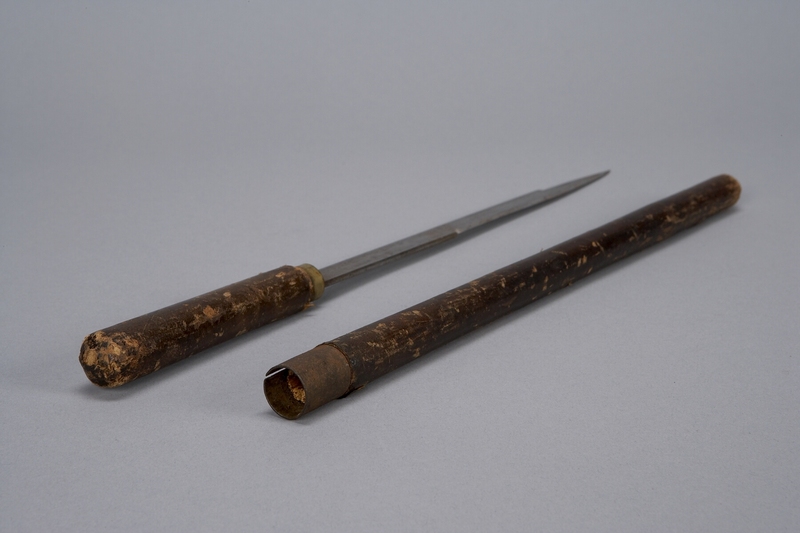 The sheath (part b) is a long cylinder of wood covered in leather with brass at the bottom end.